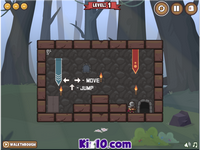 Every flash games fans knows that Hitstick game series are perfect action adventure game. While you are on the game you must read instruction text on the game screen and than follow them so go on. Try playing.